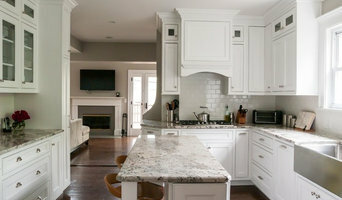 Chicago's Premier Design, Build & Remodeling Firm | 4x Best of Houzz! Our passion is improving your home environment. We undertake all types of work; from kitchen and bath renovation to design/build projects to major home repairs. Our contracting business evolved from our extensive experience in development. We've been doing this a long time; it's our passion. Mfive built our first home almost thirty years ago in the Lincoln Park neighborhood. For most of that time we have exclusively worked on projects for sale; everything from new construction, single family homes to gut renovations of existing homes to modular construction, multi-family housing. In the last few years we branched out to do all sorts of contracting projects. The work has ranged from commercial showroom build outs to bathroom and kitchen remodels to exterior renovations of single family homes and large commercial buildings. In short, Mfive has worked on pretty much every kind of building and undertaken pretty much every kind of project. Because the bulk of our work has been "spec" work for ourselves, we have always been totally focused on design and buildout of every project at the best possible value. It's part of our corporate DNA. We don't want to be the cheapest contractor or builder you can hire, nor do we want to be the highest priced. We provide for you what we execute for ourselves; the least expensive approach to the best possible finished product. It's a combination of choosing the simplest building approach to a project, the materials and fixtures that will look like a million dollars without costing that much, and paying attention to the design and construction details that make a building look beautiful. Working with us will be a partnership in creating the best possible environment at the lowest possible cost. Residential and Commercial Fitness equipment Darin Daniels offers Residential home gym designs and equipment as well as Commercial fitness equipment for Hospitals, Hotel and Hospitality, Sports teams, Health Clubs, Personal Training facilities, Police and Fire Dept, High School & University, Parks & Recreation and more. Darin has over 30 years of experience in the Fitness and Fitness Equipment industry being a former strength & Conditioning coach, athlete and former partner in a chain of over 160 fitness centers. Now a Commercial Fitness consultant for the Fitness Factory and Chicago area manager, Darin with the Fitness Factory has access to over 600 products and distributes to over 100 different countries. If you need the best in home gym design or Equipment for your commercial facility contact Darin. MZ Development Partners is a family-owned business with over 25 years of experience coordinating all types of remodeling and construction projects- from new custom homes to home additions. We approach each project as if it is our only project, giving our clients our undivided attention every step of the way. We treat our clients like family and make certain we understand your present and future needs. We are reliable, dependable and absolutely trustworthy. When we say we will be at the job site at 7:00 A.M. -we'll be there at 7:00 A.M. When we give you a completion date and a price, we stick to our word. MZ Development Partners knows the difference between tried and true and trendy. We attend industry conferences and seminars to keep informed about the latest products, materials and techniques in the business. Then, we select the right solutions for your needs. 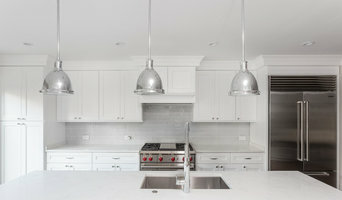 At Maya Construction Group, we are a proud leader of kitchen, bathroom, basement remodeling, and home additions in Chicago and surrounding areas. By dealing directly with us, our clients enjoy outstanding customer service provided by remodeling industry veterans with 15+ years of experience. Maya Construction Group is able to offer low prices to our clients because the management team are the same people who owns the company. There is no long chain of command that needs to be paid and supervised. Furthermore, we have a much bigger picture of the business than typical management teams. We see each project from conception to completion and are able to cut out any unnecessary costs. General, or construction contractors, are often known as project managers. They oversee the entire remodeling or new home construction project and facilitate all day-to-day tasks that move it toward completion. A Stickney general building contractor will work with your architect to review plan as you build a house and ensure everything is in place before work is started as well as arrange for permits and necessary inspections. While good local home improvement contractors in Stickney will have the skills to handle certain tasks onsite, such as carpentry, he or she is also responsible for hiring subcontractors for the majority of jobs, such as electrical work, painting or plumbing. In addition, the general contractor should be on-site regularly to inspect the progress and resolve issues. Here are some related professionals and vendors to complement the work of general contractors: Architects & Building Designers, Interior Designers & Decorators, Landscape Architects & Landscape Designers, Kitchen & Bath Designers, Specialty Contractors. Home remodeling contractors are a must for successful completion of a renovation. Because of this, it's essential that you do your homework before deciding on the right general contractor in Stickney as you remodel or build a house. Inspect bids carefully. Was it ready when the contractor promised it? Was the bid for building a home unusually high or low? Each of these things can be very telling: A late bid may reflect timing standards, and an off-the-mark bid could be code for a pricey premium or a deliberate underbid to score the remodeling job. You should call references, carefully read reviews and visit completed projects in Stickney, IL to see if they’re what you expect for your job. Once you do secure your local Stickney contractors, read the contract very carefully to be sure everyone is on the same page. 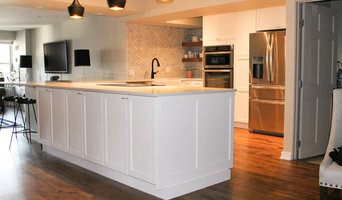 Find a Stickney contractor on Houzz. Narrow your search in the Professionals section of the website to Stickney, IL home contractors. You can also search for photos in Stickney, IL and contact the Stickney general contractor who worked on the project.